Service line is perpendicular to the curb-line. Stop box and meter pit are in landscaped area, and match finished grade. Utilities, street lights, foundations, fence lines, retaining walls, backflow prevention assemblies. 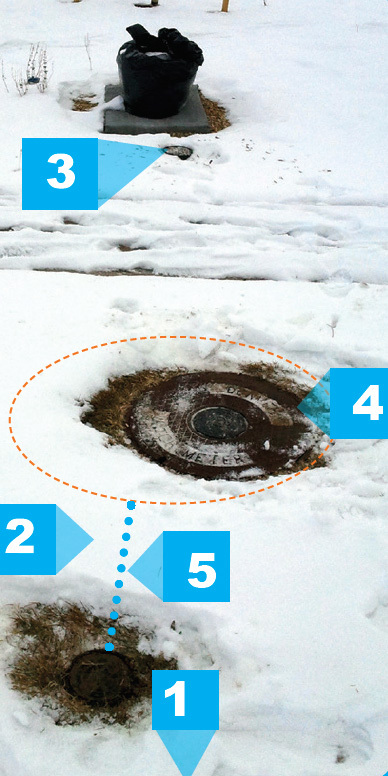 Plantings, shrubs and branches must remain 2 feet clear of the meter vault lid. 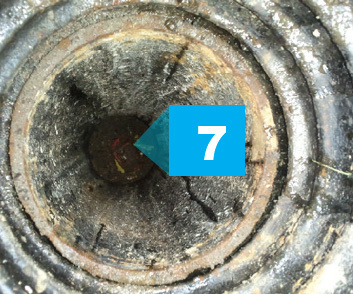 Service line has no bends or connections until 5 feet downstream of the meter vault. Manhole cover is offset over the access ladder. Stop box is 2 to 5 feet from outside wall of meter vault. 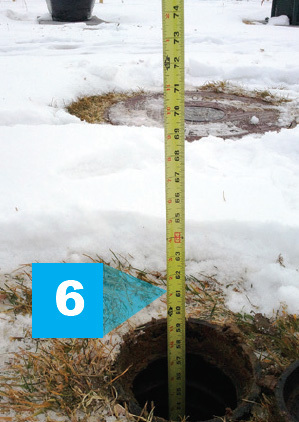 Service line depth is between 54 and 72 inches. 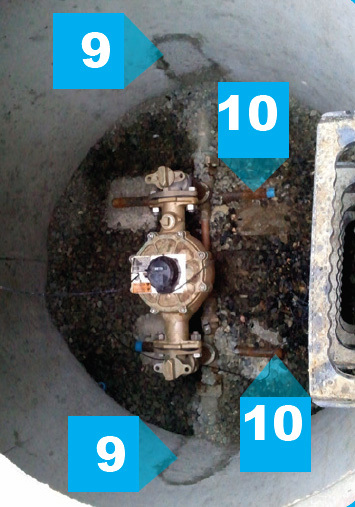 Stop box is plumb and centered over the curb valve. 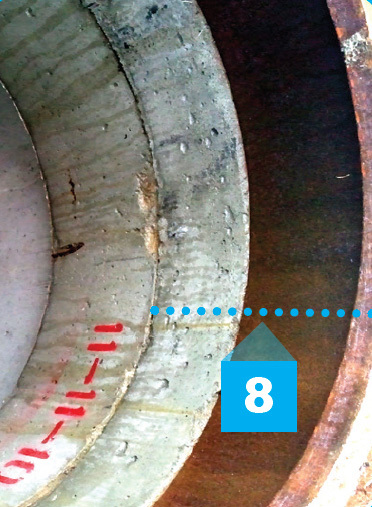 Manhole concrete riser collar(s) plus manhole ring do not exceed 18 inches. Service line vault penetrations are grouted. Concrete support blocks and yoke support rods are installed.